Irritable bowel syndrome is a very common disease. Its causes are not clear and treatments are often ineffective. Cannabis helps relieving symptoms, and science is confirming patiens' successful experience with THC and CBD. A high percentage of population suffers from some kind of irritable bowel syndrome symptoms. This disease causes mild or severe gastrointestinal distress and the causes are mostly unknown. Research proved cannabinoids can mitigate the symptoms and maybe address the cause for this disease. As usual, there is a lack of clinical evidence, and a lot of anecdotal evidence from patients. Irritable bowel syndrome used to be called “colitis” or other names. This disease afflicts patients of all ages, often young adults, and it is more common in females. No link has been identified between this condition and more severe pathologies, such as inflammatory bowel diseases. The risk of developing an irritable bowel syndrome increases after a gastrointestinal infection. Stress and anger can also be a cause for colon spasms and pain, as much as a microbial imbalance in the intestine ecosystem. Most common symptoms of an irritable bowel syndrome are nausea, abdominal pain and cramping, gas, bloating, constipation or diarrhea, weight loss, rectal bleeding. There is a suspected link between IBS and depression, anxiety, panic and psychotic disorders. Pharmaceutical research developed drugs, that target the serotonin system, which also controls our mood and modulates depression. These drugs have been successful only in a low percentage of cases, and they caused serious side effects in clinical trials. It is estimated that up to 70% of patients do not receive proper medication for irritable bowel syndrome. Cannabis resins and oils carry with them a long history of use in treating gastrointestinal distress, both in pre-prohibitionism western medicine and in the eastern ethnomedicines. Clinical studies on the use of cannabis for the treatment of gastrointestinal disorders have been very limited, yet some recent lab research identified a large number of cannabinoid receptors in both the large and the small intestines. And there’s more. Scientists seem to be proving, that endogenous cannabinoids actually play a neuromodulatory role also in the gastrointestinal system. 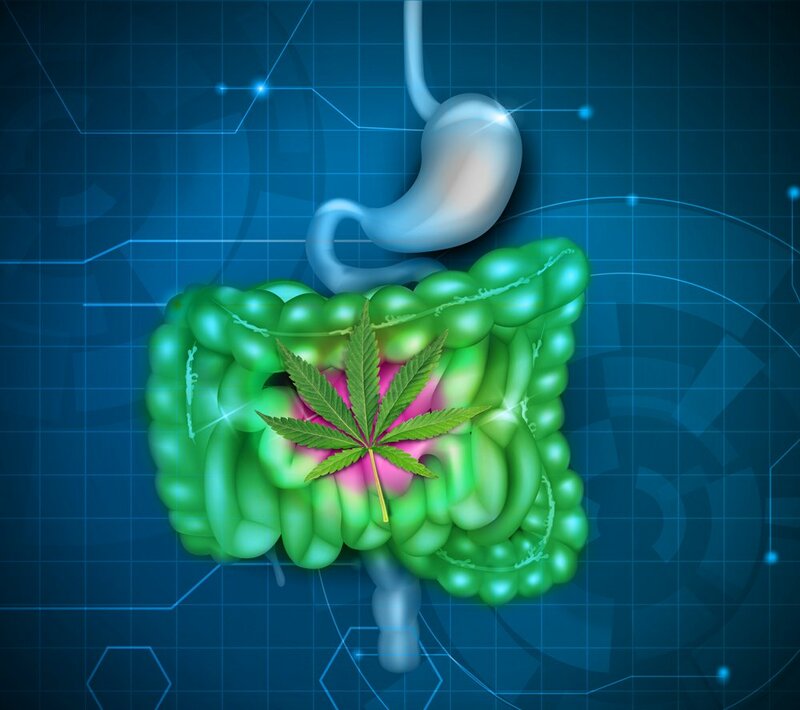 Activating cannabinoid receptors has been demonstrated to inhibit gastrointestinal fluid secretion and inflammation in mice. Also, anti-emetic and analgesic effects of cannabis compounds have been scientifically proven, confirming anecdotal evidence from patients with irritable bowel syndrome, Crohn’s disease and other similar disorders. In most cases, cannabis derivatives could at least relax contractions of the smooth muscle of the intestines, thus reducing cramps and helping in the intestinal functions control. Research also seems to show that during an intestinal inflammation condition our body increases the cannabinoid receptors in the afflicted area as an attempt to mitigate the inflammation by metabolize more cannabinoids. 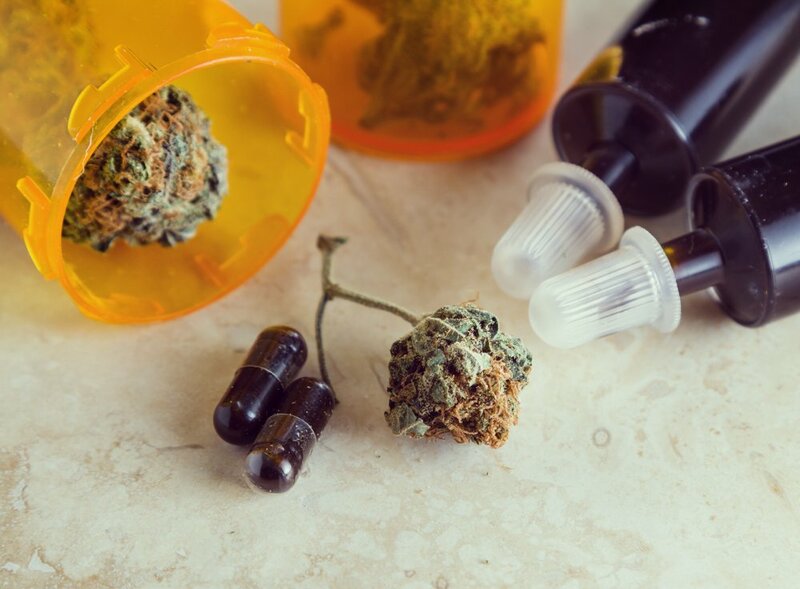 CBD and THC can also block spinal, peripheral and gastrointestinal mechanisms, that promote pain in irritable bowel syndrome and similar disorders. Lab research on rats also indicates that cannabinoids can reduce the gastroesophageal reflux caused by this kind of condition. A 2003 study on cannabinoids potential applications against gastrointestinal diseases revealed, that THC reduced spontaneous intestinal movements, thus alleviating both colonic spasms and abdominal pain. A 2004 study suggests, that there is strong evidence for cannabinoid treatments in managing bowel diseases thanks both to cannabis’ ability to reduce nerve pain, and to its anti-inflammatory properties. While many irritable bowel syndrome patients take probiotic food supplements, the research on human microbiome is still at its beginning. One 2007 pre-clinical study on rodents found that the presence of the bacteria Lactobacillus acidophilus in the intestinal tracts increased the amount of cannabinoid and opioid receptors, resulting in a decreased pain. In a 2008 review, neurologist Ethan Russo proposed, that irritable bowel syndrome may be caused by an endocannabinoid deficiency. The endocannabinoid system plays a role in a wide range of functions, including appetite, digestion, immune regulation, mood, sleep, reproduction, and pain. Ethan Russo has theorized, that people with irritable bowel syndrome might lack endocannabinoids. Another 2008 research evidences, that cannabinoid treatments can lower sensitivity and inflammation in patients with gastrointestinal disorders. Finally, a 2011 study titled “Cannabidiol reduces intestinal inflammation through the control of neuroimmune axis” reveals, that CBD might open a new therapeutic strategy to treat inflammatory bowel diseases without any psychotropic effects. CBD achieved this effect once again by re-modulating an abnormal immune system response to internal or external agents. In doing this, cannabidiol just binds to receptors which number our body purposely increased under distress or pathologic conditions. Many patients who consume cannabis to treat their bowels’ condition report, that symptoms are significantly reduced or even eliminated. Several anecdotes are once again confirming research findings on cannabinoids, providing “broad spectrum” relief and mitigating most of the symptoms of irritated bowels disease. This happens also when other pharmaceutical treatments failed or had serious adverse effects. Latest research points to body’s own endocannabinoids helping achieve and maintain a balance, named “homeostasis”, in different physiological functions. Irritable bowel syndrome is considered a microbial issue influenced by the endocannabinoid system. Today we have more and more scientific evidence, that a pharmacological modulation of the endogenous cannabinoid system can provide new treatment options for gastrointestinal diseases, such as nausea, vomiting, ulcers, irritable bowel syndrome, Crohn’s disease, diarrhea, and gastroesophageal reflux. Both THC and CBD seem to be among the most promising options for treating these kinds of pathologies, yet research will still be lacking until cannabis will be allowed for clinic research involving human trials.